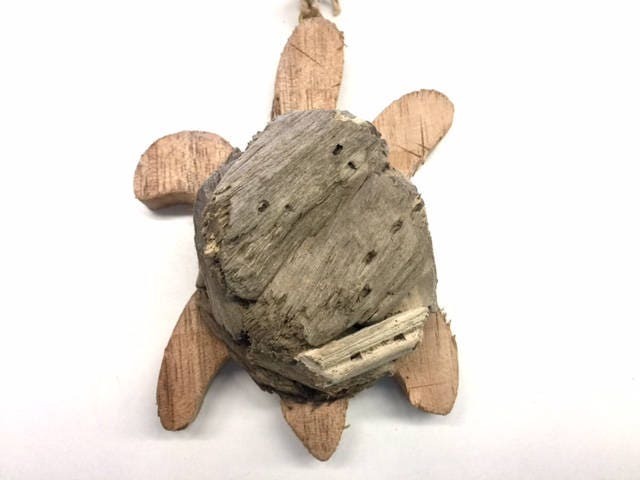 This handmade driftwood Christmas tree sea turtle ornament is a fabulous beach vacation memento. It is also perfect for your coastal Christmas tree, hostess gift for beach lover parties or birthdays, baby's first Christmas ornament, for the nursery and more. 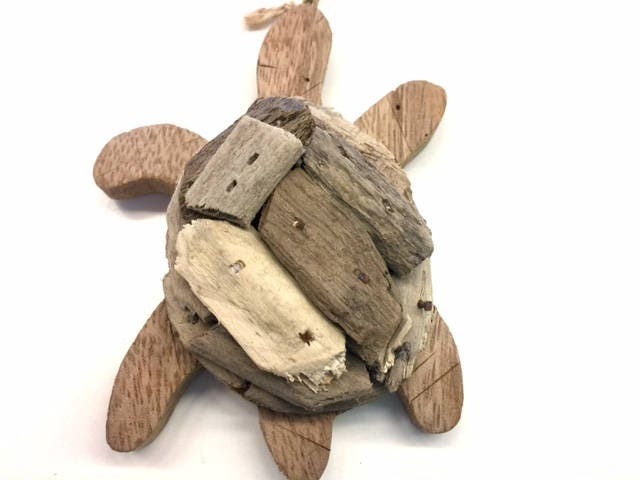 This turtle ornament is designed by one of our local artists and is very popular in our Beach House Dreams bricks and mortar store on the Outer Banks of NC. Because each ornament is handmade there may be some variations in the wood colors, but all will be this same size and style, measuring almost 4 " high and 3" wide. Looking for our very popular driftwood manger ornaments, or other driftwood ornaments like our popular NATIVITY manger scenes? Those are all listed separately here. Christmas shopping? PURCHASE EARLY as quantities are limited. All of our items ship PRIORITY mail, and these ship in about 3-5 business days so you receive 2-3 business days after shipping! Need your order sooner, or need more than one? Contact us and we'll do our best to make it work. If you need 2 or more ornaments, contact me and I will set up a custom order for you, with combined shipping in a priority box. We also have other ornaments made out of driftwood, like the whale in photo 3, and our popular driftwood nativity ornament, listed separately.